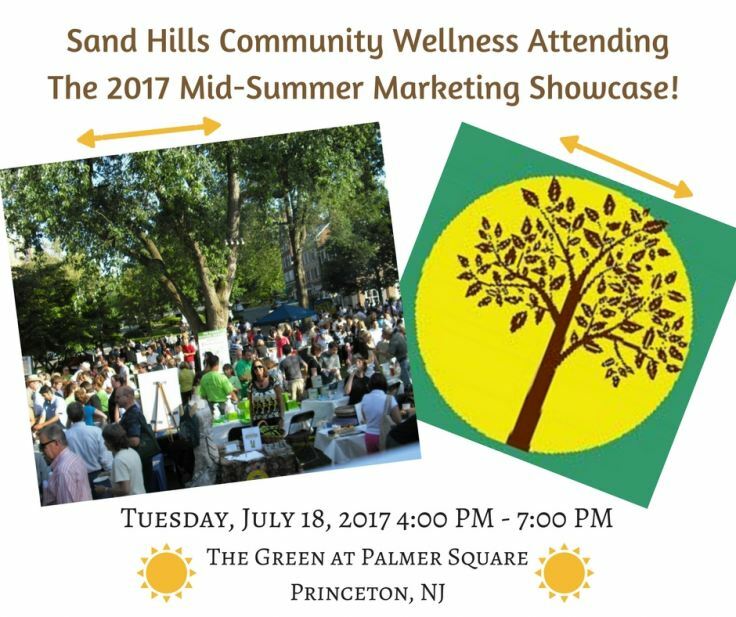 Sand Hills Community Wellness Center Along With The Garden State Community Kitchen Attending the Mid-Summer Marketing Showcase! PRINCETON, N.J. - July 9, 2017 - PRLog -- The Princeton Regional Chamber's Eleventh Annual Mid-Summer Marketing Showcase is happening on Tuesday, July 18th on the green at Palmer Square in Princeton, New Jersey. Sand Hills Community Wellness Center along with The Garden State Community Kitchen are gearing up for this year's event, Both organizations are excited to showcase some of their healing, healthy and beneficial programs at their joined booth! her programs held at the wellness center: The Garden State Community Kitchen and Suppers Program. Community Kitchen, City Kidz World, Judo for Children & Teens, Elixir Fund, Guided Meditation and CPR Certification. demonstrates and explains the many benefits of this Japanese healing technique. on farm-to table culinary education for children and families in the Garden State. a meal accompanied by guided discussion. http://www.thesuppersprograms.org. To register for the Mid-Summer Marketing Showcase, please visit: http://web.princetonchamber.org/events/2017-MidSummer-Marketing-Showcase-559/details.